This entry was posted on Saturday, January 26th, 2008 at 3:03 pm	and is filed under Food, News. You can follow any responses to this entry through the RSS 2.0 feed. You can leave a response, or trackback from your own site. Oops – it looked like you had an accident there. But I take it this is how they are supposed to look? Yummy. Looks delicious. 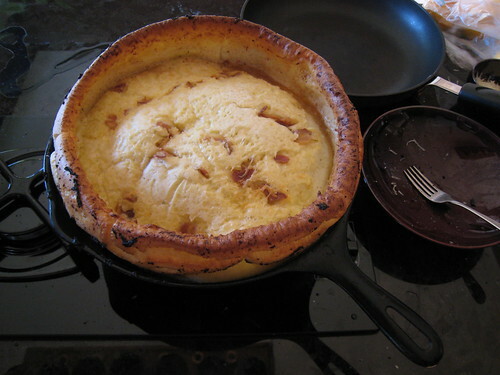 I have never heard of a baked pancake but sure would love to try one.